I think that this is the perfect time of year to showcase local businesses. Not only to help you find that perfect gift for someone but also to help you find some hidden gems! If you've been on the blog before I'm sure you could have guessed that there is an amazing boss babe behind your new favourite store: Outside the Shape. 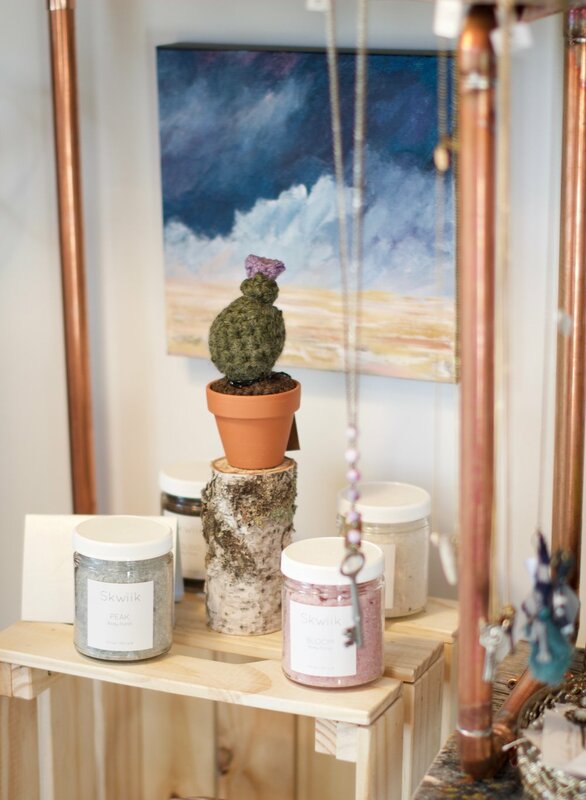 Boss babe and owner, Francesca, has created the coziest, freshest, and most beautiful store for all us lucky Calgarians. I just feel so happy and at home in this space and the more I learn about the amazing products she carries, the more I fall in love with it. Outside the Shape was born from the need to do something different and unique. To Francesca, the most important thing when choosing what to bring into the space starts with the story and passion behind the business. She believes that every artist and maker are entitled to have a chance at success and so this space is for them to showcase their work and feel confident in doing so. The name Outside the Shape came from the commonly used phrase "outside the box". But Francesca thought box sounded boring (it does) and shape is more interesting (it is!) because it's something that can evolve and change over time. She also wanted people to hear the name and think "what does that mean? what is that?" because starting a conversation and keeping interest and intrigue is so important. "I want people to know that there is somewhere where you can always come to find new and interesting things while supporting and shopping local." You can literally find something for everyone here. 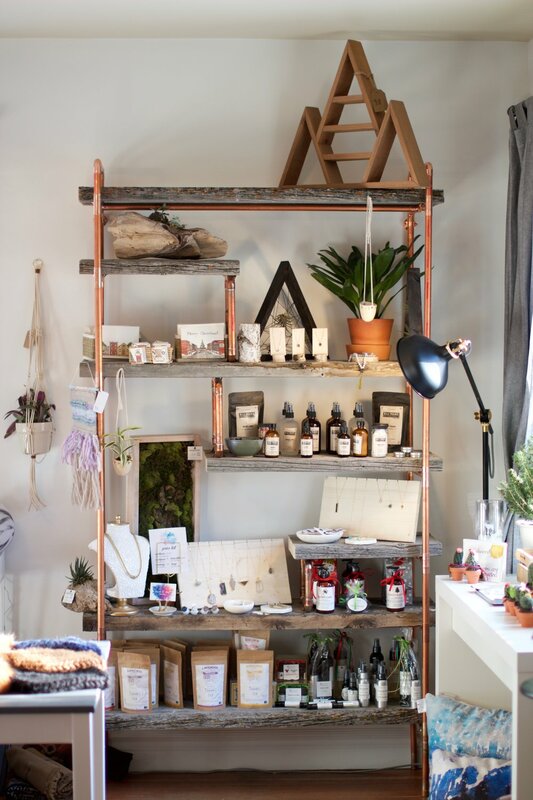 There's jewelry, plants, clothes, coffee, bath and body products and so much more. This season is all about giving and when you buy from a local vendor you are giving to so much more than the person you bought it for. Francesca loves that when you buy something from someone who is putting their heart and soul into their business there is a special connection and point to your purchase. She hopes that she can create that feeling for everyone and anyone who walks through the door. There is also a beautiful room in the store which can be used for events and workshops! I just went to a Colour Play Art & Wine workshop hosted by Heart and Swirl which was way too much fun. 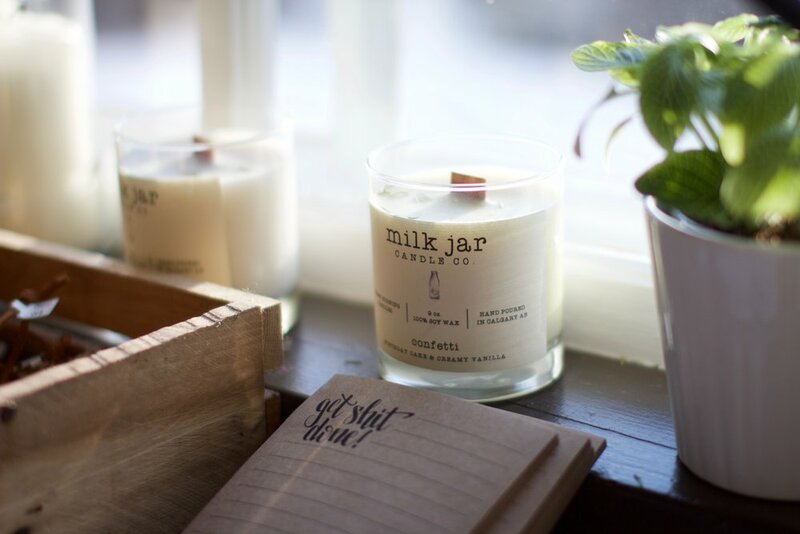 Find Outside the Shape online or on Instagram and at 1222 10th Ave S.E. See upcoming workshops by Heart and Swirl here.